All right... lets blog it fast!!! 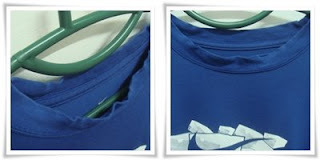 One of my friend who work in Nike boutique, told me that Nike's shoes can ONLY wash by using water or with body shampoo. This is because the material of the shoes are very sensitive. 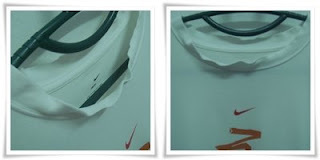 But, still I will continue support Nike and consume its products as I believe every products have its weaknesses. Kudos NIKE!!! Stop stop stop.... its time to study...!!! Good luck to you guys in tomorrow quiz!!! ADIOS!!! Aiyo....so so kesian...erm, so far, no...didnt face those problem with my nike shirt...think maybe it's the washing machine and the washing liquid u using may harm the cloth material..